How do I apply a credit note (for items returned) on a transaction in Xero and how will it look like in JuanTax? Credit notes are made in order to reduce the amount that is owed to you by a customer or vice versa. For it to appear within the tax software, you need to create it in Xero before generating a report in JuanTax. To create a credit note, you must first make either an invoice or a bill in Xero. In this example I made an invoice for maternal utilities. After entering the appropriate amounts and description, you need to approve the invoice. 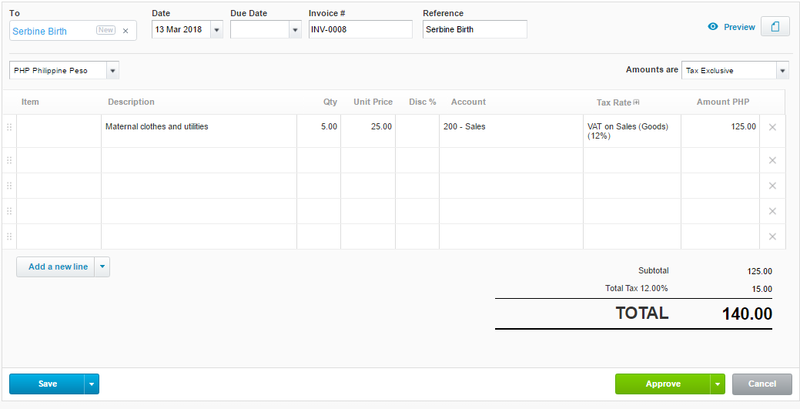 After the invoice was approved, click the Invoice Options button and choose Add Credit Note. In this example, I adjusted the amount of the utilities from 25.00 to 15.00 in the credit note and then I hit Approve. After approving the credit note, you need to go to JuanTax and generate the tax report. Once you generate the report, your credit note would appear in the list of transactions in the Sales tab, and that's it!